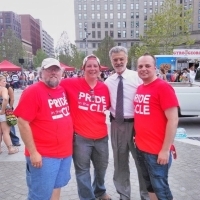 Co-chairs Christie Campanile, Daniel Hamilton, and Jacob Nash with Mayor Frank Jackson. 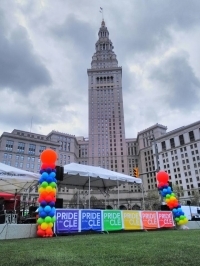 The stage at Public Square featured a lineup of speakers, singers, performers, and entertainers. 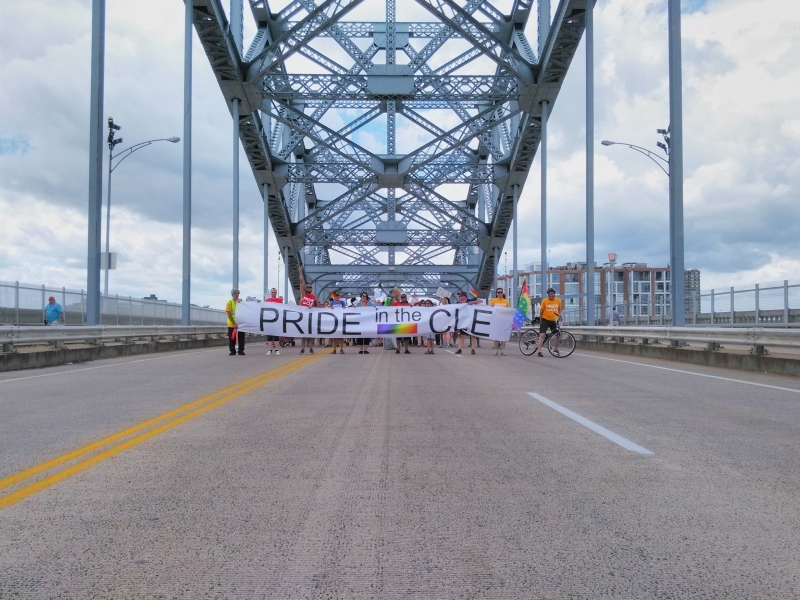 Over 1,000 people from 64 community groups are estimated to have participated in the Pride in the CLE march across the Detroit Superior Bridge. A double rainbow appeared the same day as the Pride in the CLE event. 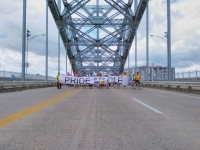 Image courtesy of Ted Rosati. 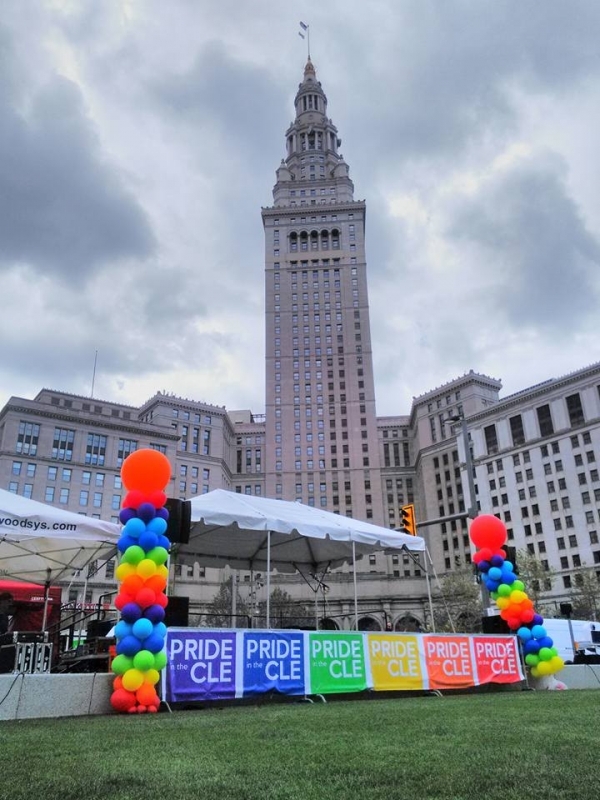 Most recent question: What are your tips for surviving a Cleveland winter?